One of the ways I try to improve my photography is learning from others, and I subscribe to a couple great photography magazines that give helpful information. These magazines offer opportunities for photographers to submit work, generally showing a specific subject or technique. The other day, I saw the winning photograph in the ‘Better Lucky Than Good’ category. Wow – I could enter a picture in that category! I feel like that’s my modus operandi (m.o., for short). I get in my Expedition and go trolling for pictures. When I head out, I go to places looking for subjects -wild horses, eagles and other raptors, bears, etc. – but I rarely go looking for a specific image. Thankfully, I live in an area that provides the subjects I like to shoot. Or, maybe I like these subjects because of where I live. That concept is just too deep and profound for me (at least today), so I won’t spend time on it. Let’s just go with this – for now, I’ll go looking for subjects and make the best image I can. I’ll be flexible so I don’t miss that great Coyote shot while looking for Eagles or waterfowl. Maybe someday I will plan my shots, rather than taking what is given to me as I drive around. I’m good with that! Here’s a few of my ‘accidental’ images from this week. 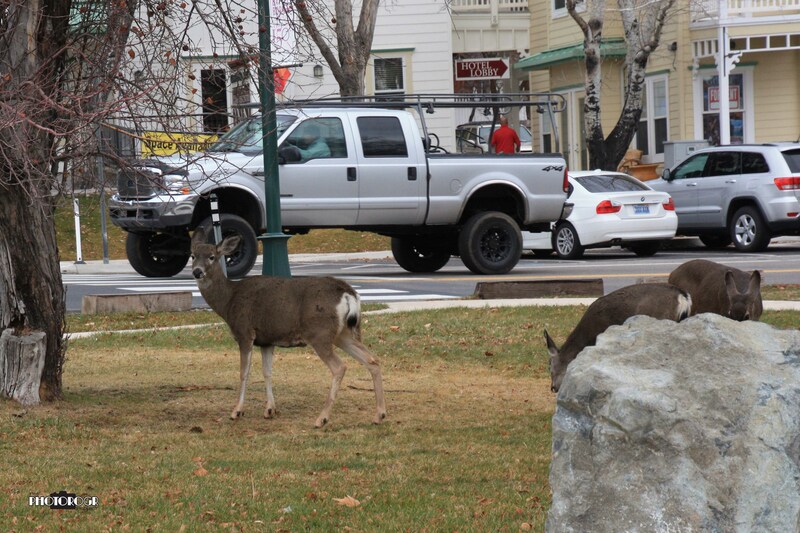 Deer are a common sight in Genoa, Carson City, and around the Carson Valley. 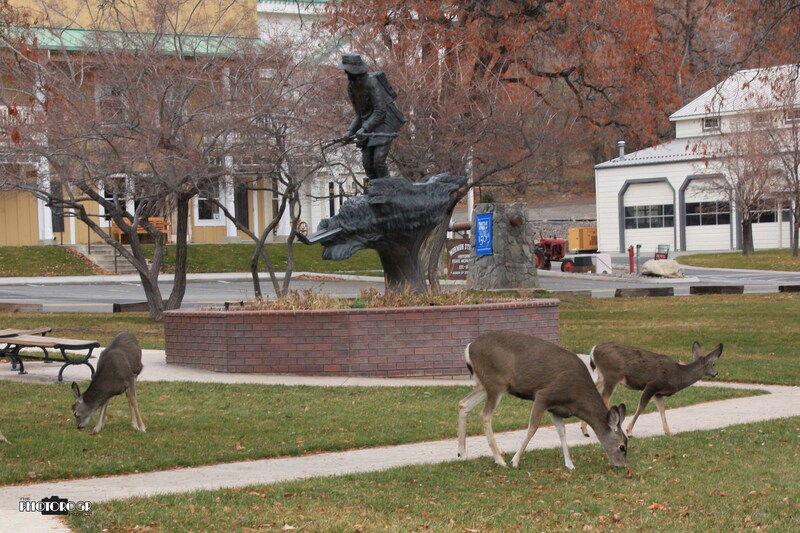 I found this group grazing on the lawn of Genoa State Park, with Snowshoe Thompson’s statue. Just like the Hawks, I can’t seem to sneak up on anything. 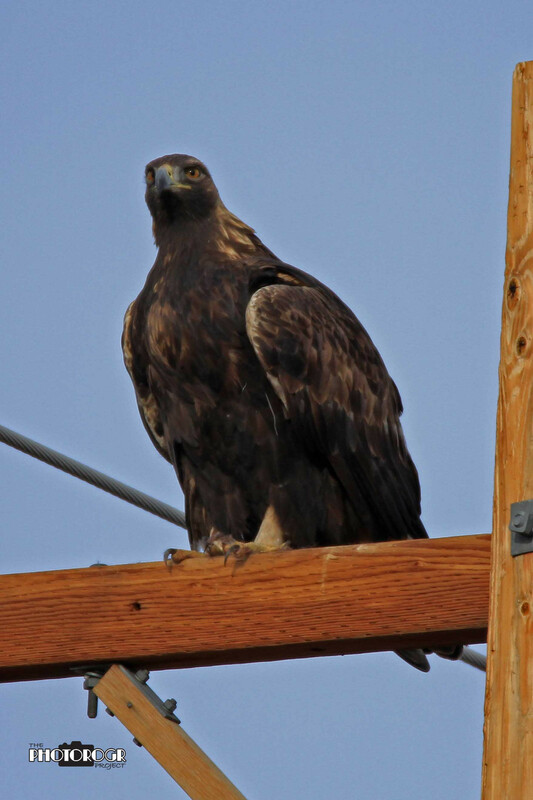 I was visiting an area where I’d seen a juvenile Bald Eagle (see below). 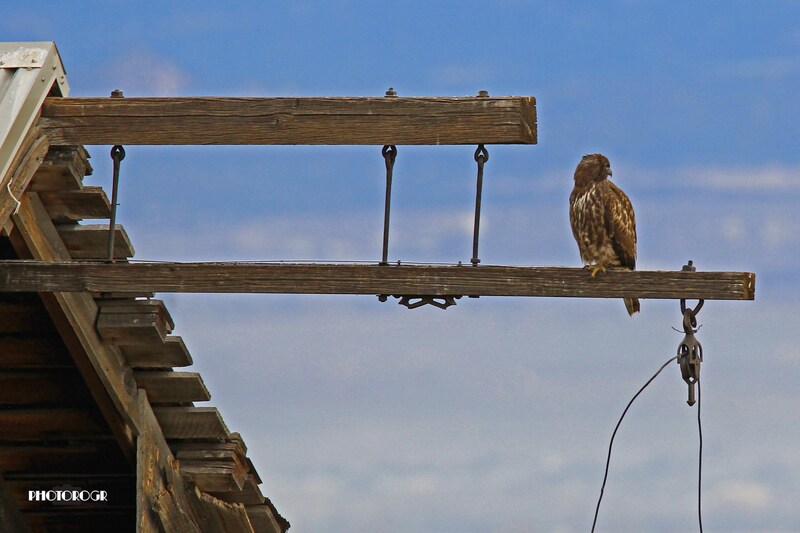 This Hawk sat for me for several minutes – long enough to try different settings and different compositions. This is one of my favorites. He could have been closer to the building, but Hawks just don’t move where you ask them to. Generally, when you ask, they just leave! 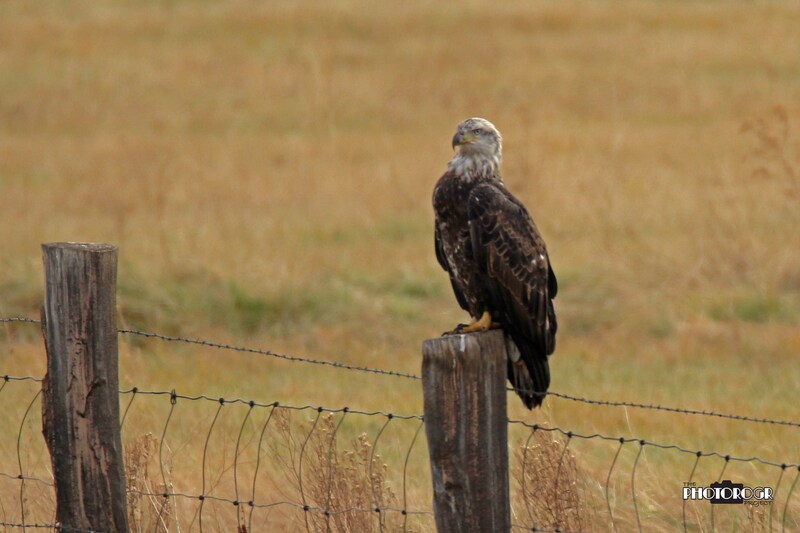 This juvenile Bald Eagle is between 3 and 4 years old. 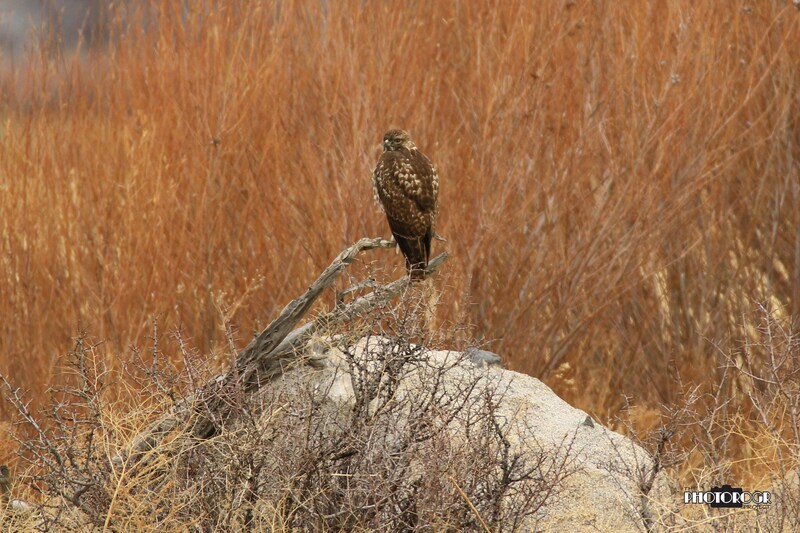 I found him (her) just south of Minden NV, over the CA line. 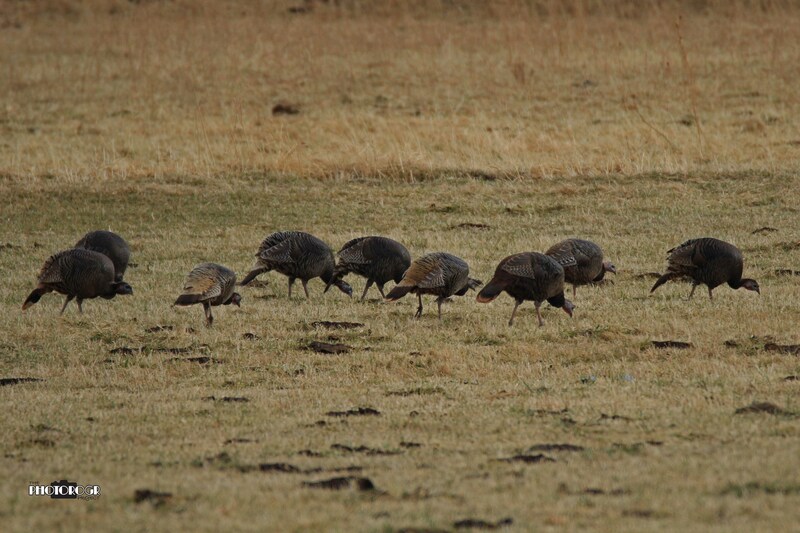 There are lots of wild Turkeys in the area. This is the first time they’ve been close enough to the road for me to get a good picture. Loved all the pictures. Whether just in the right spot or however you get them. Thanks for sharing it is a real treat. Been looking at the great book you dropped by.